Our custom louvers may cut down on the HVAC system maintenance you need to perform. Maintaining an HVAC system is particularly important during the cold winter months, when the heat is running frequently and your whole system is working hard to keep you warm. While modern HVAC systems do not need much maintenance, they still need some maintenance. 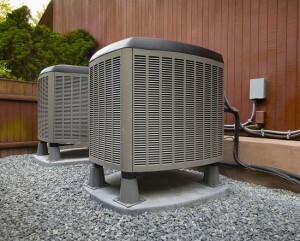 Here are our best tips for maintaining your HVAC system. Check your thermostat so that it is set at the right temperature and programming. It should always stay off as much as possible when not in use. This is an especially important adjustment to make if a work schedule and hours at in the space significantly change from month to month. Examine your HVAC system filters and swap them out when they are dirty. If there are pets or people sensitive to indoor allergens, you should change them at least once every 3 months. If you have an HVAC with electronic filters, vacuum it out once a month (or put it in the dishwasher). Check your outdoor HVAC unit to make sure that there are no leaves, dirt, or yard debris blocking any parts of the surface. Airflow is critical to maintaining your HVAC system so custom louvers may be ideal for keeping debris out and allowing for airflow! In the fall, open any furnaces and use a vacuum attachment to remove any cobwebs, dust, or dirt from the inside. Look for any connections that are broken or leaky and fix them. Clean outdoor condenser coils using a garden hose (before the first freeze!) and pay special attention to any weeds, leaves, or yard debris from fall clean-up. Always leave two feet of space between landscaping and the condenser unit. Use a solution made from dish soap and water to manually clean the coils of the HVAC condenser. Spray the mix on with a spray bottle and rinse it with water from the hose. Ask a professional HVAC technician to come and examine your HVAC system. They will have a great eye for potential and current problems and optimize your system for peak performance. This entry was posted on Friday, November 17th, 2017	at 11:06 am	. You can follow any responses to this entry through the RSS 2.0 feed. Both comments and pings are currently closed.